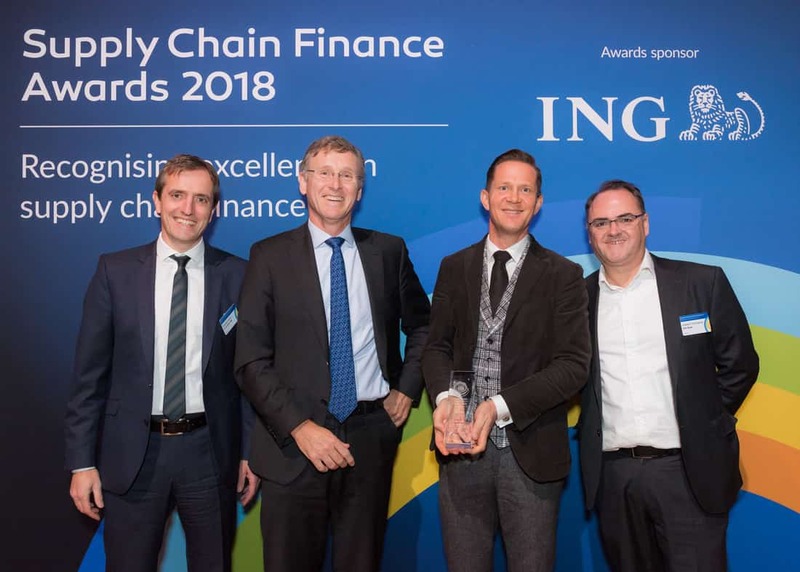 Arviem has been selected as the winner of the Innovation category of the 2018 Supply Chain Finance Awards in Amsterdam. Arviem’s innovative supply chain finance service is bringing the physical and financial supply chains together by controlling the flow of goods with internet of things technologies. On the basis of real-time, end-to-end supply chain visibility into the movement of goods through the supply chain, Arviem is offering an innovative inventory financing service. Arviem addresses the funding gap of clients; with the new inventory financing model, Arviem buys goods from the clients at the point of loading to a shipping container and sells it to distributors or to customers at the point of offloading. This approach ensures that clients receive early liquidity at attractive rates, as well as this method synchronizes the flow of finances with the actual progress of the goods through the supply chain. “Being recognized by industry professionals gives our service development initiatives a significant boost as it shows that not only our clients see the value of our innovative service offering but also Supply Chain Finance professionals. We are thankful for the award nomination to our pilot customer, Rio Mints. Thanks to their trust in us, we are the recipients of this award this year” says Stefan Reidy, CEO of Arviem. The awards ceremony was the closing highlight of the SCF Europe Forum 2018 at the Beurs van Berlage, Amsterdam. The award entries had an international character, entries came in from as far away as China, Iran, Cameroon, South Africa, Latin America, the US, Romania, and Liechtenstein. “It’s clear that many companies from all across the world are pushing at the boundaries of excellence and ensuring that supply chain finance is a tool that they deploy to enhance sustainable value across the entire supply chain” says Michiel Steeman, chair of the Supply Chain Finance Community and chair of the judging panel. Arviem has been positioned alongside international giants which have excelled in various fields with their supply chain finance programs. Siemens received the Gold award for its long-term supply chain financing program while it was also the winner in the Manufacturing and industrial category, where US group Hillenbrand was highly-commended. ICA Gruppen was the winner in the FMCG, food and beverage category, with Crown Commercial Service coming out on top in the Government and not-for-profit category. South Africa’s Dis-Chem Pharmacies won the Retail and apparel prize while Philips was the winner in Technology and telecoms. Kuehne + Nagel picked up the top Award in the Transport and logistics category.